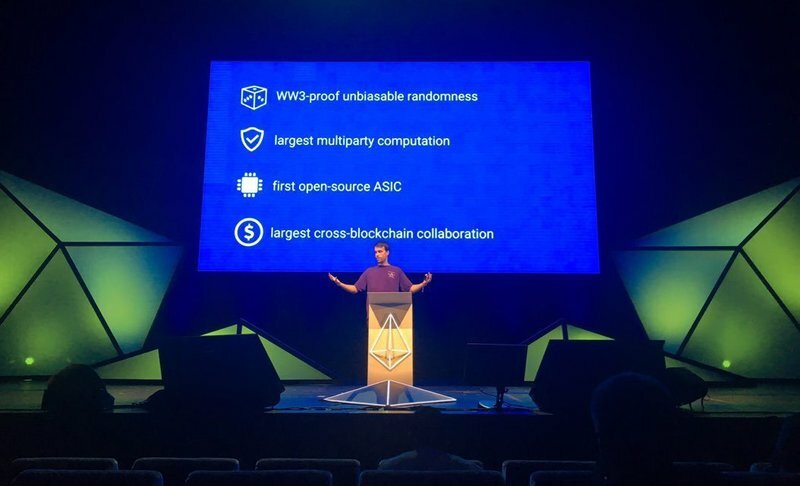 Announced Thursday at Devcon, the annual gathering of developers in Prague, Ethereum Foundation researcher Justin Drake unveiled preliminary designs for application-specific integrated circuits, or ASICs, that will support an upcoming ethereum technology called the "beacon chain. "In essence, the beacon chain is a random number generator, and it's expected to form part of the next major iteration of the ethereum network – ethereum 2.0 – under an alternative, proof-of-stake consensus protocol (compared to the proof-of-work approach utilized today). While the term "ASIC" in the cryptocurrency space is more commonly associated with the technology applied to mining, the proposed ethereum 2.0 hardware isn't engaging in that same, computationally-intensive process.Instead, these ASIC devices will engage in a comparatively less costly operation known as the Verifiable Delay Function. This helps to shuffle the validators that are intended to replace miners in ethereum's proof-of-stake system. The idea is that the hardware will prevent any one individual or organization from coalescing enough power to overtake system operations. At present, the Ethereum Foundation and Filecoin – which raised more than $250 million through an initial coin offering (ICO) last year – are currently splitting costs for a project viability study to the order of "a few hundred thousand dollars," said Drake in email to CoinDesk. Filecoin has not committed to funding full research and development expenditures for this project. Francisco Gimeno - BC Analyst Ethereum 2.0 is a daring plan. Changing the Ethereum into a new generation crypto with proof of stake instead of PoW is huge. The "beacon chain" shown here will help to do this. Ethereum's critics have signalled this year how Ethereum was getting outdated and needed to change and Buterin knows he can't sleep at the helm if he wants its company to be at the top.